The previous post on supplements got me thinking about various articles I’ve read recently on the possible negative effect that antioxidants may have on endurance training. Here is some information to consider. Alex Hutchinson writes a blog called Sweat Science. 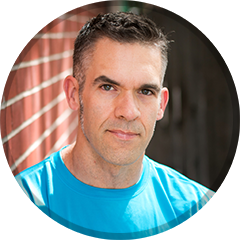 He also writes a column called Jockolgy for the Toronto Globe and Mail and he’s written articles for the New York Times, Runner’s World and Popular Mechanics. Beyond that he’s your ordinary, every day physicist and elite-level distance runner. Seems like a smart guy to me. I listen to what he has to say. He recently wrote a piece titled The case against antioxidant vitamin supplements. It’s of a similar theme as an earlier post called Does Vitamin C block gains from training? Both posts suggest the idea that supplementing with antioxidants may inhibit the training effects we want from strenuous workouts. This may seem counter to what many of us have been told. Science tells us that antioxidants protect us from cellular damage done by free radicals. Free radicals are produced by strenuous exercise. So recent conventional wisdom says that we can protect our bodies by taking antioxidant supplements such as Vitamins C and E.
Incidentally, all of this has caused me to rethink my recovery strategies. This got me thinking that the neutralizing effect of the antioxidants could actually cause many athletes to become even more catabolic. “Recovery” seems quicker, so more training occurs, then inadequate rest, more training, etc, etc leading to more and more break-down.